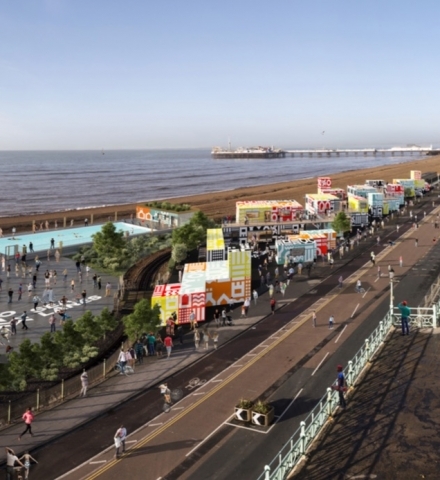 Can you help us form a view on the Sea Lanes planning application? 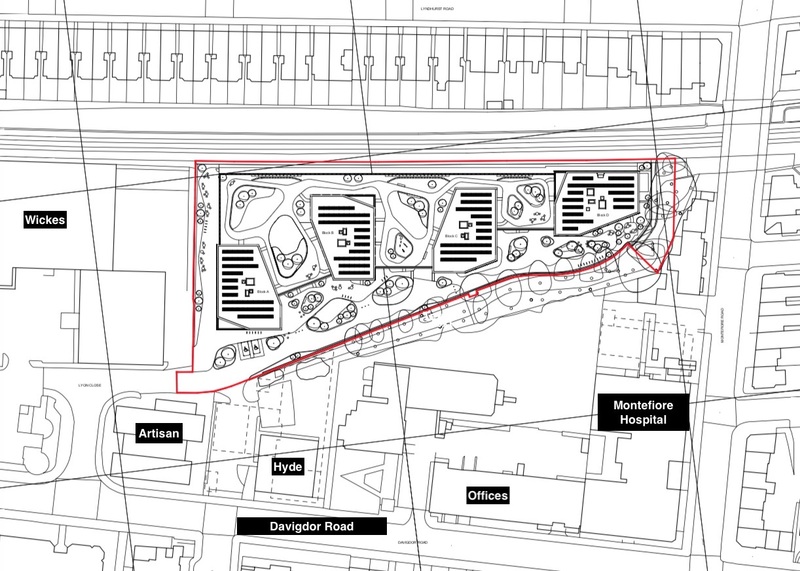 The Regency Society has not yet decided its view on this scheme on the former Peter Pan Playground site. The idea of a heated outdoor swimming pool for free-style swimming and to encourage safe and confident sea swimming was suggested a few years ago. At that time it was for a permanent Olympic size pool and associated enabling buildings. 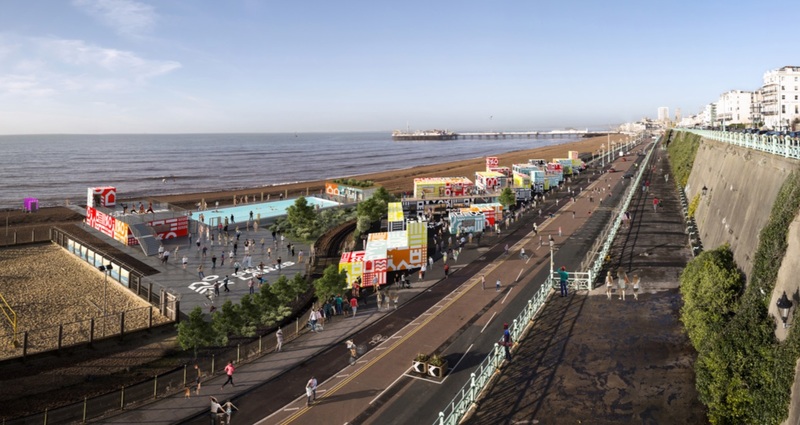 The council agreed a 150-year lease with Sea Lanes developers. 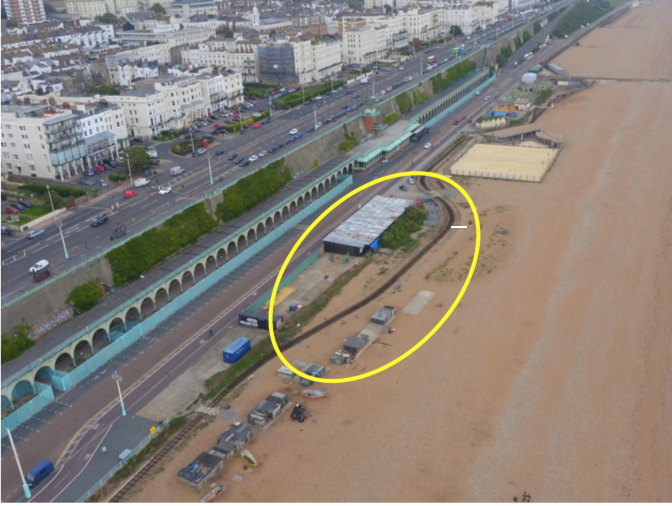 However this application is somewhat watered down to a temporary 25m x 12.5m pool for a five year trial period along with enabling buildings: changing and plant rooms, events space, lifeguard station, cycle parking, retractable beach mat and mixed leisure including retail, food, drink and offices. The lease is now for five years. The pool will be open to all and offer good provision for disabled swimmers. Temporary relocatable modular buildings of 1-3 storeys will be installed with a first floor deck for the leisure aspects of the scheme. If the idea proves to be successful an application for an olympic size pool and permanent buildings will be submitted in three years. This is a controversial scheme. The Regency Society has objected on grounds of overdevelopment. 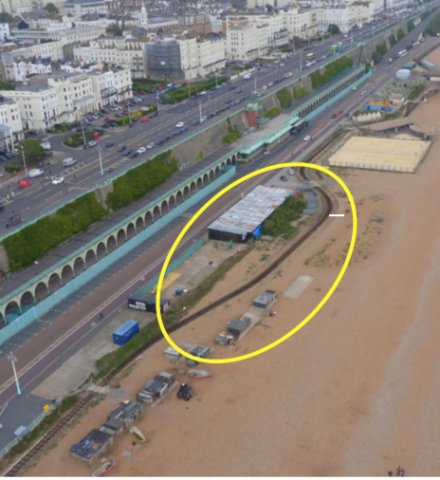 The site is the existing synagogue and associated building at 29-31 New Church Road, Hove, that will be demolished. 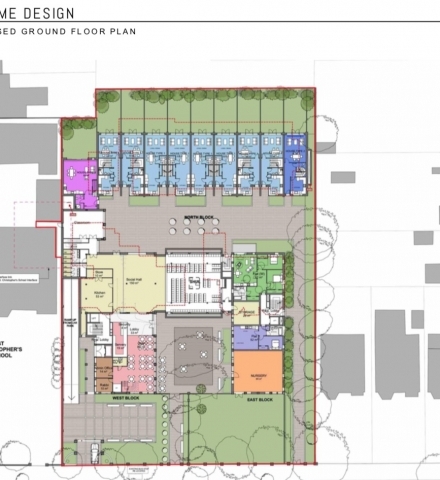 The plan is for mixed-use residential and community in blocks of 4, 5 and 6 storeys to provide replacement children’s nursery, 2 classrooms for shared use by St Christopher’s school, offices, meeting rooms and cafe, underground car park and 35 flats. Between and connecting these blocks will be a new single storey synagogue. Additionally, and of concern to the Regency Society, is the plan to build 10 town houses at the rear of the site. This intention, alongside the building mass across the site as described above, leaves very little open space. 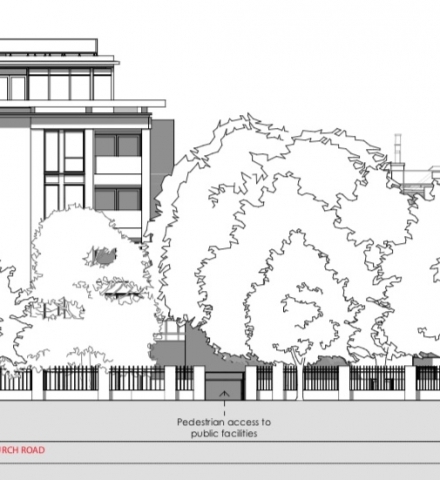 The society has no objection to the amended heights of the blocks and welcomes retaining most of the mature trees at the front, but is unable to support a design that should not set a precedent for future developments. 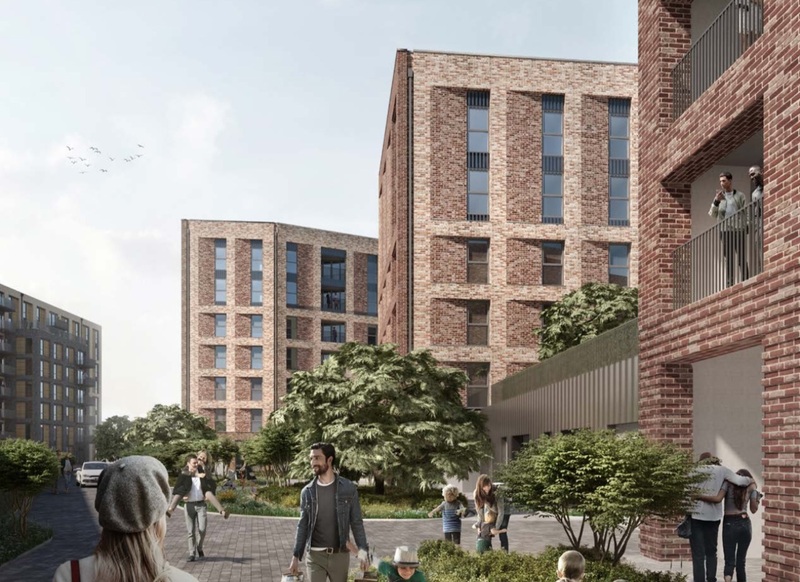 The Regency Society supports this mixed-use scheme for 163 dwellings that exceed national space standards, 938 sqm of office accommodation and parking. 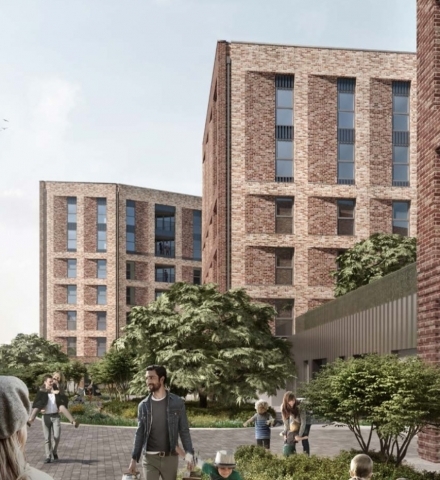 Four irregularly shaped buildings from five to ten storeys will connect via a podium that allows for parking underneath and shared gardens for residents above. Landscaping intentions are extensive including trees enabled by raised mounds on the podium that suggest an undulating green space of paths and gardens. The existing line of mature trees will be retained and define the vehicle entrance to the site. 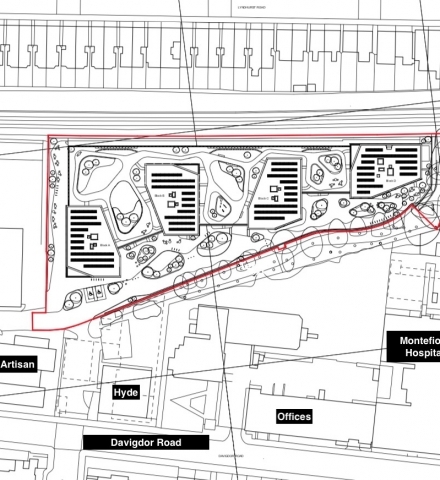 The scheme abuts the railway line and replaces small industrial buildings. Peacock Industrial site to the west will remain. The built up area immediately to the south is on Davigdor Road identifiable by the new Artisan housing block, extensive offices and Montefiore Hospital. 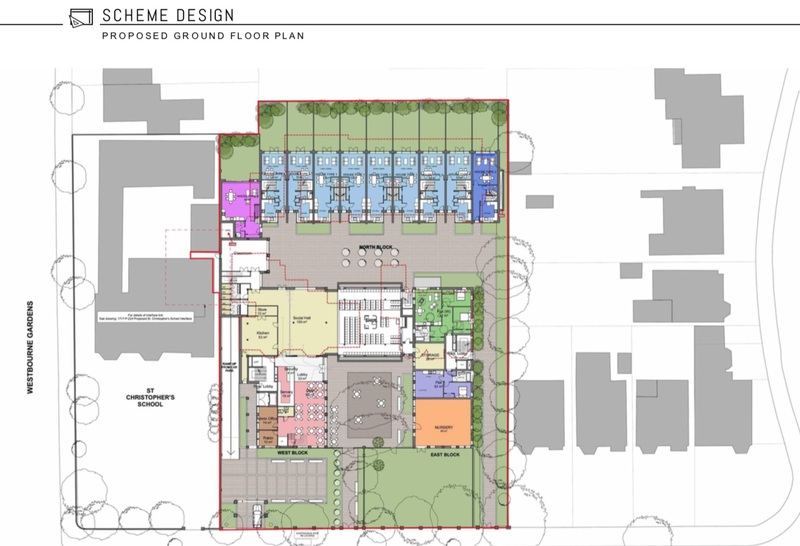 This new scheme is generally welcomed, representing good use of a brownfield site and model for future developments. It is hoped that the planned 40% affordable element will not be diluted as the development progresses. The society has some concerns about the impact on local facilities, such as surgeries and schools.